You can’t achieve the other three pillars of A Brilliant Civil Service without effective leaders. Becoming Permanent Secretary of the Department for Work & Pensions back in January, with 84,000 colleagues across the country, has certainly been a step up in my leadership responsibilities! I started my own leadership journey in 1991, when I joined the Civil Service Fast Stream. Looking back to when I walked into the Treasury on my first day, the one piece of advice that I would give myself is that leadership is something we can all do. You don’t have to wait until you are a certain grade or have a large team. The sooner you start to be aware of your leadership style, the sooner you can strengthen it and grow. We take leadership very seriously in DWP. We’re delighted that, in our 2017 People Survey, 88% of colleagues said leadership is something they should all do regardless of grade. On my first day as Permanent Secretary, I described to colleagues my vision of four leadership priorities for DWP. 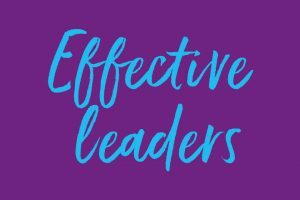 As the weeks have gone by, and through speaking with thousands more colleagues, these have evolved and become a framework for the way we talk about what we are trying to achieve as leaders. Firstly, we want open and engaging leadership at all levels. We don’t just want everyone in DWP to have a voice but to really feel like their voice matters. As a senior leadership team we work hard to create opportunities for colleagues to shape the future of the department, as they are the people who know our customers the best. Listening to each other drives improvement, as we’ve demonstrated with changes to the way we manage colleagues’ performance in the department. Listening isn’t always easy, though, and some things can be quite hard to hear. But listening is the right thing to do, as it can better help us understand our co-workers and customers, and ultimately makes us more effective in serving the public. Secondly, we’re focusing on the power of the team. We’re ripping down the invisible walls of our organisational reporting lines to build more of a sense of teamwork across boundaries. As an Executive Team we’re committed to leading as one to build our future together and mobilising engaged, effective teams to deliver it. The key point is to work back from the service or outcome that we are responsible for, and to identify who else you depend on to deliver that service, and who depends on you. Those people are your team. Get to know them and how you can work together. I first saw this in action at one of our Universal Credit Service Centres in Glasgow, when listening to a call from a claimant in the Highlands. To resolve his query, our agent worked with a colleague in the Fort William jobcentre - many miles away, but part of the same team. Third, and in a similar vein, we are working closer than ever with other parts of government and external partners so we provide joined-up experiences for those we serve. We need to see our claimants not just as benefit recipients but people who may need support from a range of departments, local government, employers and third-sector bodies. There are brilliant examples of this, with many jobcentres becoming more like community hubs and some being co-located with council offices. They become a one-stop shop to find the support to get a job, sort out housing needs, and receive advice on accessing local services. Lastly, we are making DWP a workplace where people can be at their best, whoever they are. We are actively listening to colleagues, removing obstacles and nurturing an inclusive environment where people can fulfil their potential. We have created a campaign, ‘I can be me in DWP’, which reflects this and gives the opportunity to celebrate role models. But we also have a responsibility to each other as colleagues, so that ‘you can be you’. This applies to progression and development, but also to health and wellbeing - and I love to celebrate the fantastic work colleagues do to promote healthy lifestyles, raise money for charity and get to know each other better as a result. Leadership often sounds daunting, but the priorities above are things that we can all do, at all levels, in any department. I’ve found it a really useful framework for my leadership of DWP. If you take small steps to think and act in this way, you’ll hopefully see how people can come together, and in doing so provide a better service to the millions of our fellow citizens who rely on what we do. thank you for sharing these inspiring thoughts. They really make sense to me and are very achievable for people to adopt in any role or department. Thanks for sharing Peter. Pretty straightforward framework all can grab hold of to make a difference in our personal leadership aspiration. Find reverse mentoring also helps us be more grounded in active listening and grade less leadership/teamwork. Peter - a great article, especially the call for more collective leadership across boundaries. Would love to hear some more examples and the conditions that was in place that enabled that to happen. Is there someone in your team we could speak to? Leadership is applicable to many life situations not just work. A good example is when I was travelling home from work and a passenger collapsed. Nobody did anything so I took charge, instructing someone to bang on the train drivers door for example and ensured the passenger was comfortable until paramedics arrived. I also do the same in my Red Cross duties which I do in my spare time. Leadership comes naturally. It does not matter what grade one is. Its how you respond to a situation that defines if you have leadership skills or not. Hi Peter, I agree so much with everything you say, effective leadership and teamwork will get us through any difficult situation. It is also good to know that many of our people recognise that everyone is a leader no matter what job role they do. I am often led by people around me. Peter, you have said 'leadership is something we can all do'. Not that long ago I was reminded by someone in our management chain they were employed for their accountancy skills and not to be a line manager and leader! I slightly disagree that this is a 'can do'. For me this is a 'must do'. Leadership, as you say, isn't about grade, and neither is it about line management. This is about recognising our impact on others and making sure we take responsibility, we learn from feedback, encourage others to give and receive feedback. This supports everyone to achieve the best they can. We need to 'get over' titles, grades and qualifications - we are all people who impact our customers and colleagues! 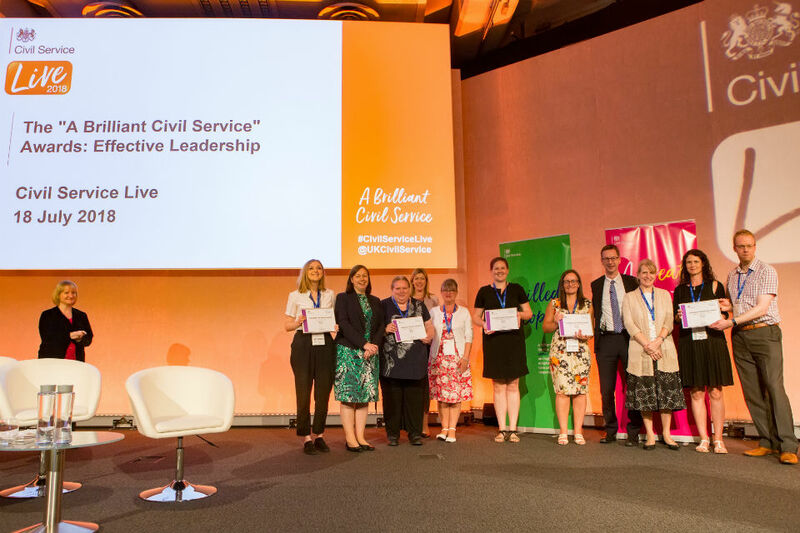 I think it's fantastic that the focus is continuing on great leadership across DWP and the Civil Service. It can only get better for our people and help deliver excellent customer service. Leadership is a quality, not a grade so everyone has it in them to be a leader!